Closeouts. 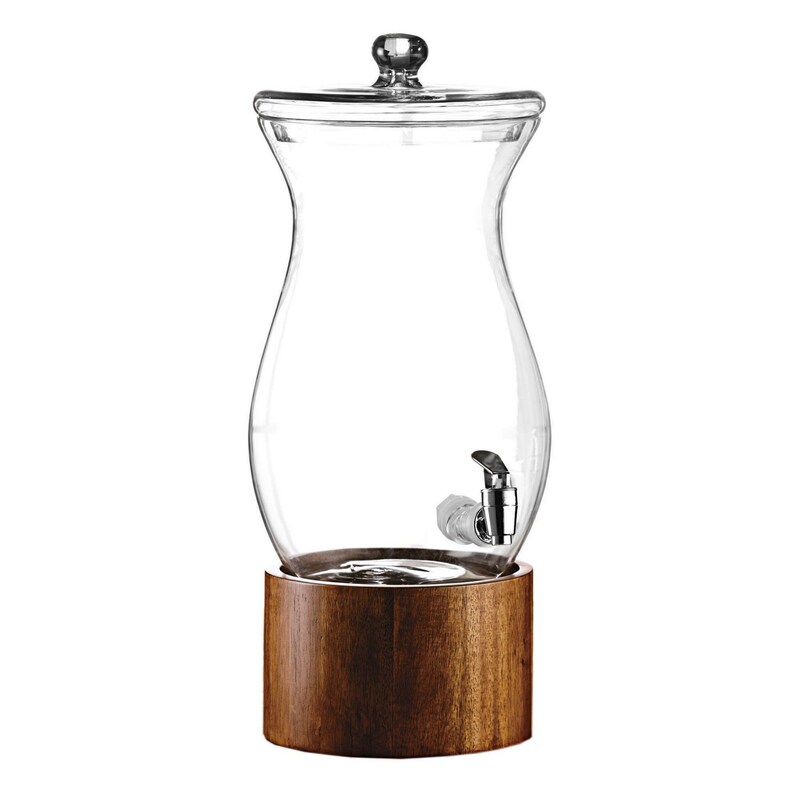 A beautiful beverage server for parties, or an everyday alternative to water or soft drinks for your family, American Atelier’s Madera beverage dispenser showcases cucumber water, lemonade or your favorite fruity sangria in its lovely hourglass reservoir. The rustic wooden base is not only stable, but keeps the spigot elevated for optimal cup clearance.